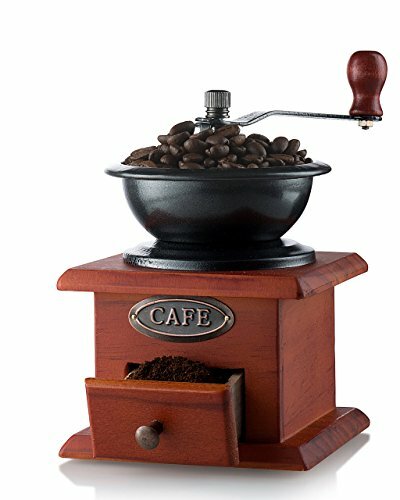 If given a choice, we would always choose a burr grinder over a blade grinder when it comes to coffee grinding. The reasons why are many, but we will not discuss them at length in this article, however we will say that burr grinders are the preferred method of grinding by anyone who takes coffee at all seriously. 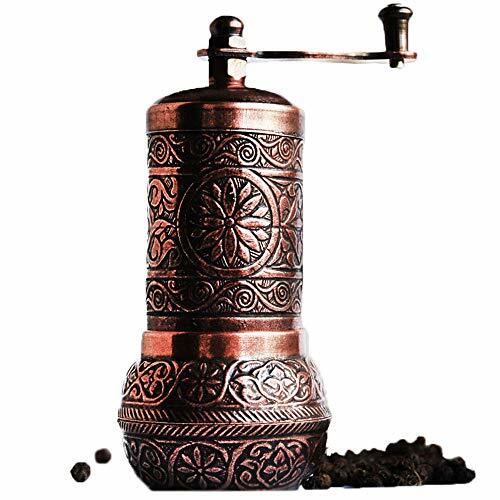 There are a number of styles of burr grinder, and one which has been around for ages but never goes out of style is the classic burr mill, which is akin to a pepper mill except it is dedicated to grinding coffee. Burr mills are still being made today, of course, and there are a variety of styles to choose from, from the modern / forward-thinking types made from colorful plastic or tubular metal, to the throwback vintage models which often incorporate wood into their design. 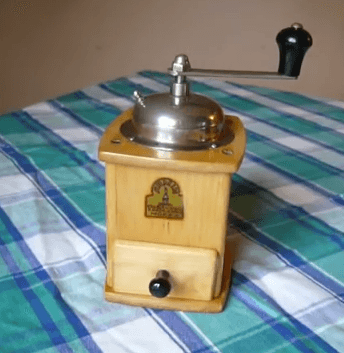 If a real vintage manual hand crank coffee grinder is something that appeals to you, you should definitely check out one particular German model which has been around for a long time called the “Armin Trösser Mokka”, as it was originally called. The man behind the name remains a mystery, as we have not been able to uncover any information about him besides his German heritage and approximately when these grinders were available to the public. Even the emblem shown on the logo is open to interpretation – coffee grinder kingpin atop his own creation, or statue of liberty facsimile? Can a relative of this person please step forward to clear this up? 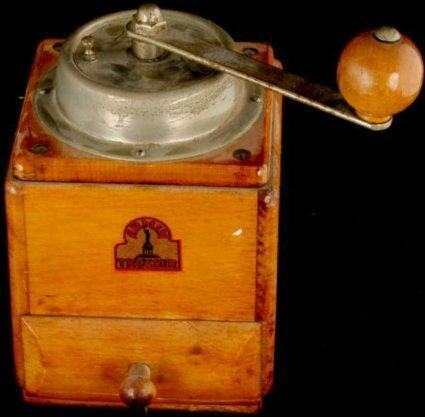 The word on the street is that Armin Trösser Mokka coffee grinders were made in the 1930’s to the 1950’s, with the model we see most often being one of the later iterations of the device. 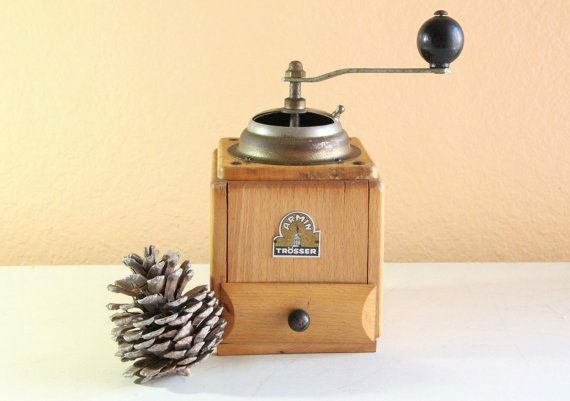 This Armin Trösser burr mill is a classic example of what current vintage-looking coffee grinders base their look on. The look of the Armin Trösser, among other antique grinders from the late 19th to the early 20th century, have definitely influenced an entire swath of current retro-looking grinders such as the Rosewood manual grinder (pictured left), and once you get a good at the old guard, you will start to see the influence of burr mills like the Armin Trösser, as they are handed down to the present day. As is standard of a grinder of this bygone era, the hopper of the Trösser is made from metal (eg. copper), while the grinds bin is made from wood. A modest amount of beans can fit into the hopper, enough for a few cups of coffee. It has an unmistakable look to it, and the next time you see one there’s a good chance you will be able to identify it correctly, like some type of rare sea bird. 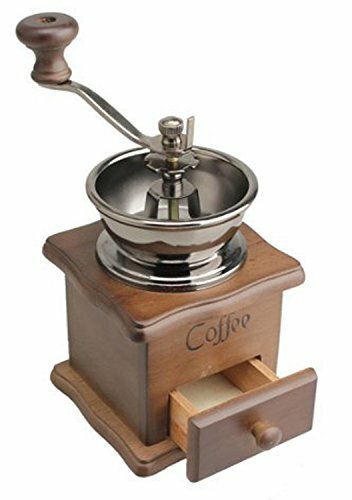 This little grinder definitely has a dedicated following in the coffee world, as it harkens back to a time when things were more dependably made and, not only that, but it still grinds for a great cup of coffee if you can find one in good working order. 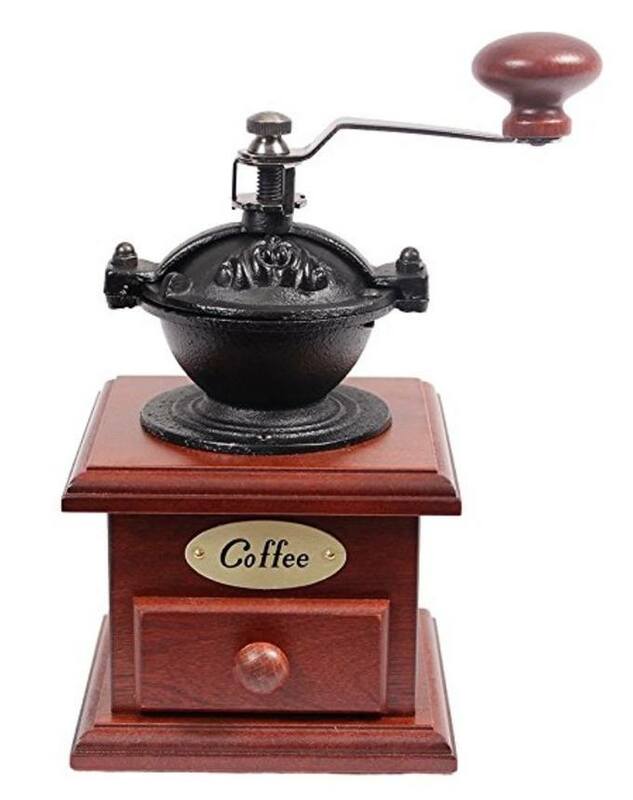 These days, you’re liable to find this authentic vintage coffee grinder on places like Etsy, Ebay, or perhaps in a relatives old kitchen cupboard gathering dust or at a flea market. You never know where or when one of these grinders will make an appearance. 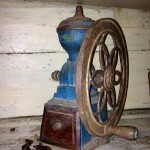 For fans of coffee and also collectible antiques, an Armin Trösser grinder is definitely considered to be a “find”. Many people who have gotten their hands on an Armin Trösser have to do a bit of work on the unit, as older versions of this grinder can have things like a squeaky handle, a rusty hopper, or a dusty grinds bin. With a little bit of TLC, you can easily start using it again. If you like French Press, Aeropress, or Chemex-style pour over coffee, the Armin Trösser does pour over quite expertly. It also works good for drip methods of brewing, or for moka pot (which inspired its namesake), but it is not specifically designed to grind for espresso unless you have a very deft hand. 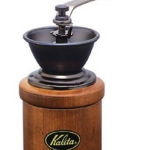 Interestingly, it is this old, wooden relic (we mean relic in the nicest way possible) of a coffee grinder that works best for some of these newer brewing methods which are taking the coffee world by storm these days. 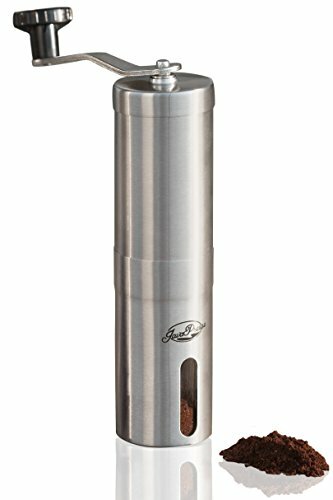 Certainly better than most blade grinders, and even better than some more expensive burr grinders on the market today. 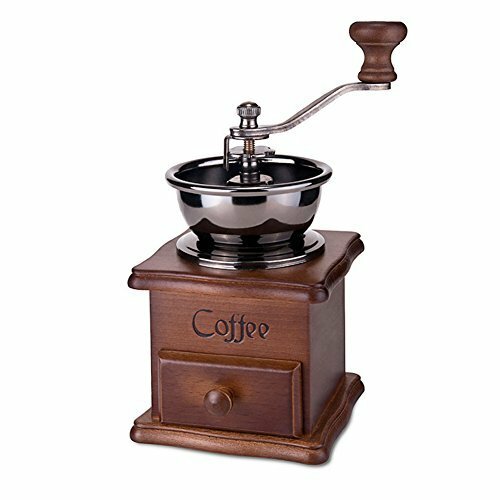 This antique style grinder, like most other manual grinders, is the slower method of coffee grinding, which is a bit of a turn-off for anyone looking for a quick solution to coffee grinding. For others, however, a slower grind is preferable because it forces the user to grind the beans slower, which actually benefits the grind – read more about how to grind and get the most out of your coffee here. Hence, the taste of the coffee in your cup becomes much improved. Indeed, a slower grind means a cooler grind, and a cooler grind means more of the flavor is preserved because there is no damage from any heat or lost oils on the bean. This is the ideal situation for grinding coffee, but coffee drinkers being naturally jazzed up to begin with tend to overlook this and go for the faster method, and larger quantities at once. If you are just one or two people at home, wanting some coffee, not only is the Armin Trösser a nice display piece, but it does actually do the job that some more expensive electric models cannot do. 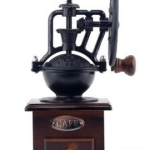 No, coffee fans, the Armin Trösser is not a coffee grinder of the more/faster ilk. You might get about 50 grams of ground coffee for 30 or so seconds of grinding (depending on how fast you turn the handle), but the quality of the grind is really what counts and here is where this grinder excels, especially for French Press (a slightly coarser grind). The burrs on the Armin Trösser are adjustable, meaning you can play with the burrs in order to get a range of grinds. 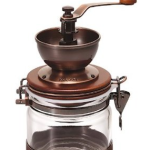 Some versions of the Armin Trösser coffee grinder come with a domed lid which encloses the hopper, and makes the grinding a hair quieter, while other versions of this grinder have an open hopper where the beans are simply poured in and you should be a little more careful or else you’ll have a bean or two hop right out of there and onto the floor. All in all, the Armin Trösser is still out there on the market today, and if you’re lucky enough to find it, you may want to give it a try as it delivers a superior cup of coffee. The memorial is exactly the image on the logo. Armin or Arminius was the Latin name for Hermann; (18/17 BC – AD 19), who was a chieftain of the Germanic Cherusci tribe and a former officer in the Roman military. An auxiliary lieutenant to the Roman general Publius Quinctilius Varus, Arminius used his knowledge of Roman tactics to lead an allied coalition of Germanic tribes to a decisive victory against three Roman legions and their auxiliaries in the historic Battle of the Teutoburg Forest, in 9 AD. I do have one from 1929. It is indeed a bit slow, but the grind is excellent. Mine has a domed lid. For me it works best if i turn the handle a bit slower than with other grinders. Very well crafted and i perfer ut over many manual grinders made today. Jesper, I have a Armin Trosser with a domed silver colour lid/top. Does that mean it is from the year 1929 (approximate) or ? Jesper, now that I look at this website, I see mine is the exact same model as when you first scroll the website. I am having difficulties to open the grinder. Can someone help?